The Intermediate Social Sciences Club organized an interactive session for Intermediate students on ‘Developing SMART Study Skills’ on Thursday 09 February 2017. 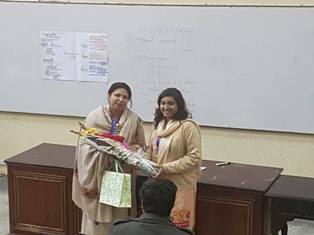 Head of Social Sciences Department, Prof Fizza Anwar was the resource person for the session. It was a highly interactive session in which students actively participated by asking questions and sharing different strategies to study effectively.